Demo of the floating axes. Using scatter function and bar function with changing the shape of the plot. Using GridHelperCurveLinear to rotate the plot and set the boundary of the plot. Using FloatingSubplot to create a subplot using the return value from GridHelperCurveLinear. 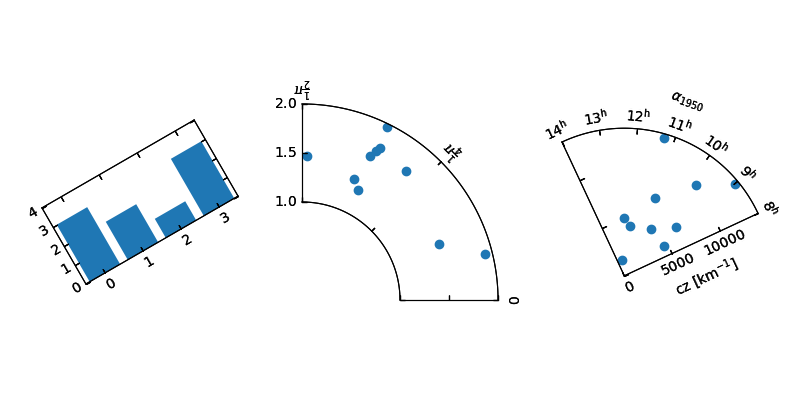 Making sector plot by adding more features to GridHelperCurveLinear. radius = np.random.rand(10) + 1.